Confession: I forgot it was Friday! 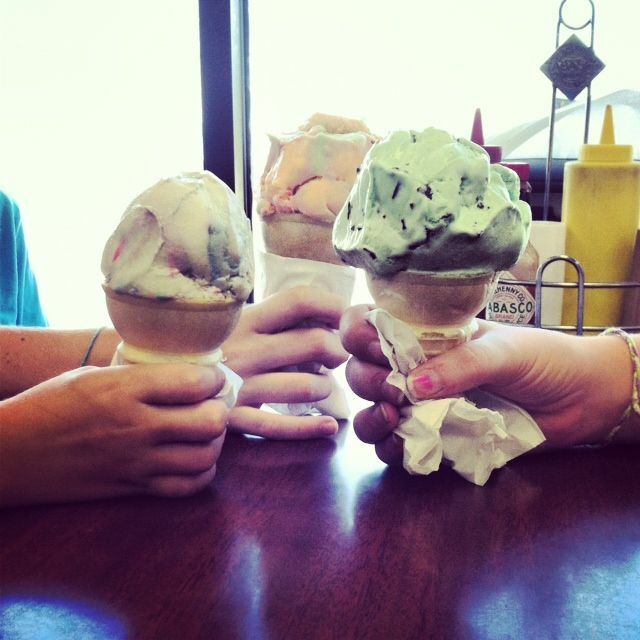 I took the kids out yesterday afternoon for ice cream cones to celebrate. I slept in this morning, then got up and attacked laundry and dishes like a ninja. I'm showered and dressed and feeling like I'm right on top of things! And it just hit me. It's Friday. There are never tons of entries in the Fingerprint Friday linky, and rarely very many comments. I've thought many times about dropping it. But I've received numerous private emails saying how much they appreciate it. People love clicking through the links for different interpretations of God's fingerprints. So. Sorry it's late today! I was busy tackling the world. Hmm, that ice cream look heavenly! Even if it is only 10 in the morning, lol. mint chocolate chip ice-cream, a favorite! I appreciate you hosting this linky! Yum--that looks good! Especially since it is soo hot today. Agree! I'm a better fingerprint Friday participant when I'm on summer break...so...two more weeks and I am back in it, baby!! !